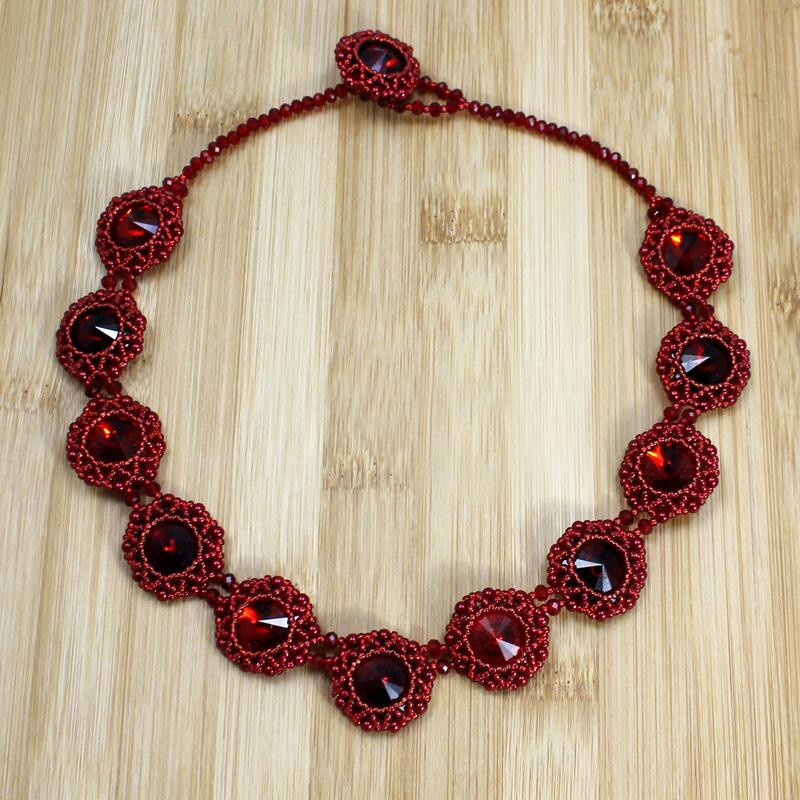 This 18mm Round Rivoli Jewellery Kit in Party Red, includes all the elements you need to create 12 necklaces or bracelets! Rivolis are a great addition to your jewellery stash. They are so sparkly, and with the help of the holders, they are easy and quick to make up. You will bezel each rivoli with seed beads and glass pearls then you will have the choice to string them together to form a bracelet or necklace or simply turn them into pendants. Using 3 and 4 mm pearls you can shape your necklace into a curve or have it straight by using just one size of pearls.